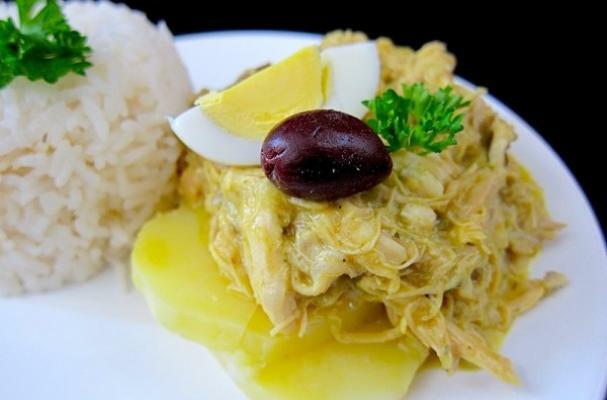 Aji de Gallina is a classic Peruvian chicken stew that’s both deliciously spicy and creamy. On Day 2 of our virtual tour of the cuisines of Peru we’re featuring this favorite dish of fellow food writer, Nico, author of the blog Pisco Trail. According to Nico, this dish can be traced back to Medievel Spanish, Roman and Arabic cuisines. Aji amarillo and a bevy of bold and flavorful spices like cumin and turmeric make this a must-try recipe for chicken lovers! Nico serves his chicken atop butter potatoes and garnishes it with hard boiled eggs, olives and parsley. Learn more about this Peruvian comfort food and get the recipe here.